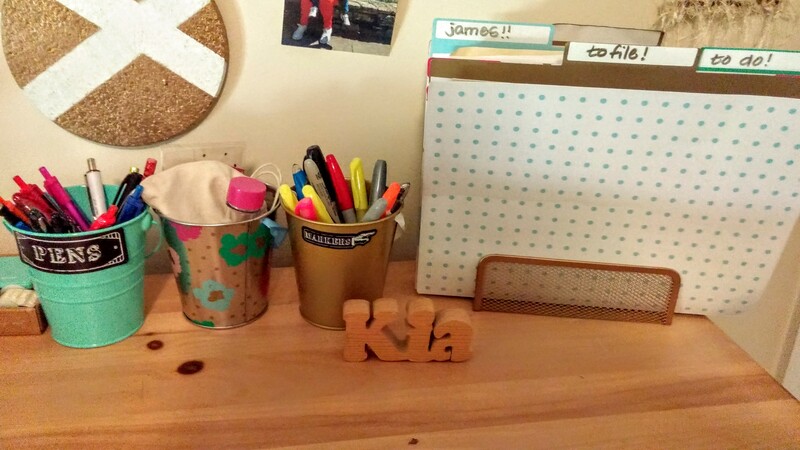 I started by clearing everything off my desk and filing things that needed to be filed and getting rid of items that didn’t go with the style I was trying to achieve. I chose my color palette and started looking for items to fit the theme. I found some great file folders in the Bullseye Playground at Target as well as some cute pails to match. Target usually switches out the items in this area throughout the year, but it’s a great place to check for party and home decor items. 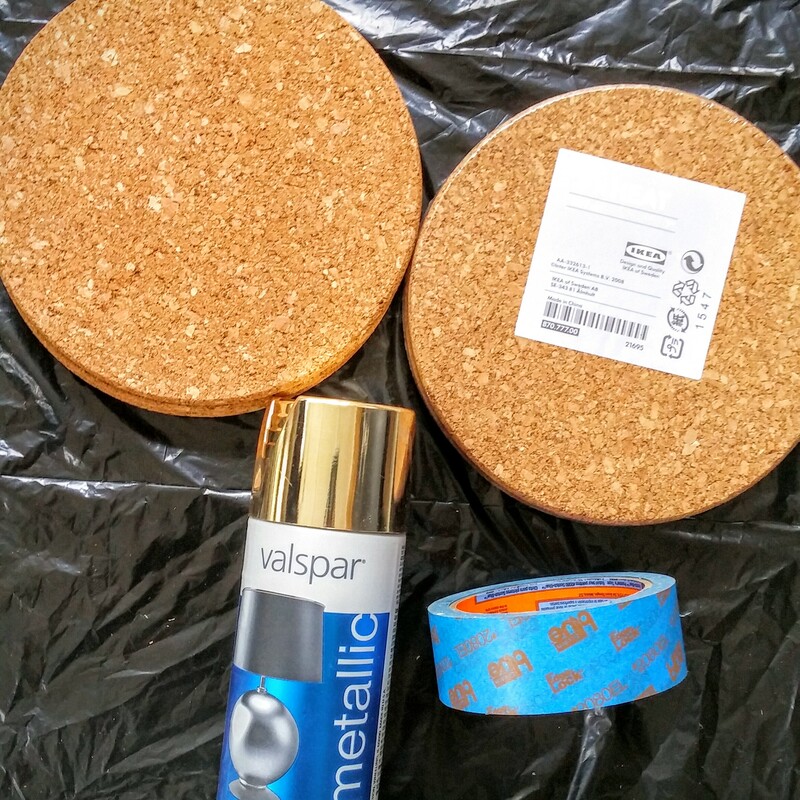 I decided to do a gold theme so I purchased some spray paint as well. I started by spray painting the items I wanted to keep so they would all match. 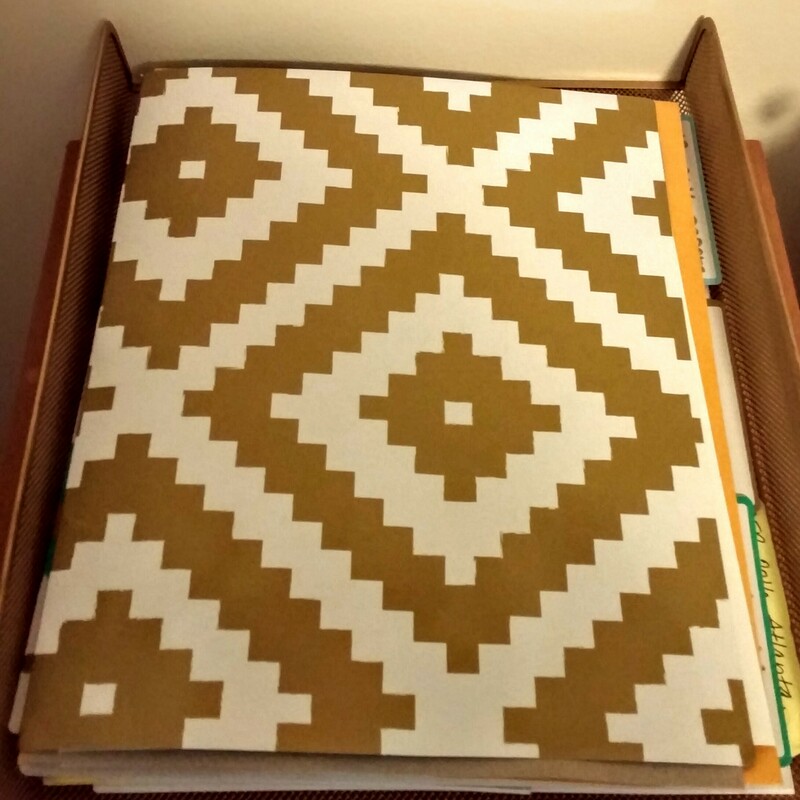 I sprayed my file folder holder and letter tray which were both silver. 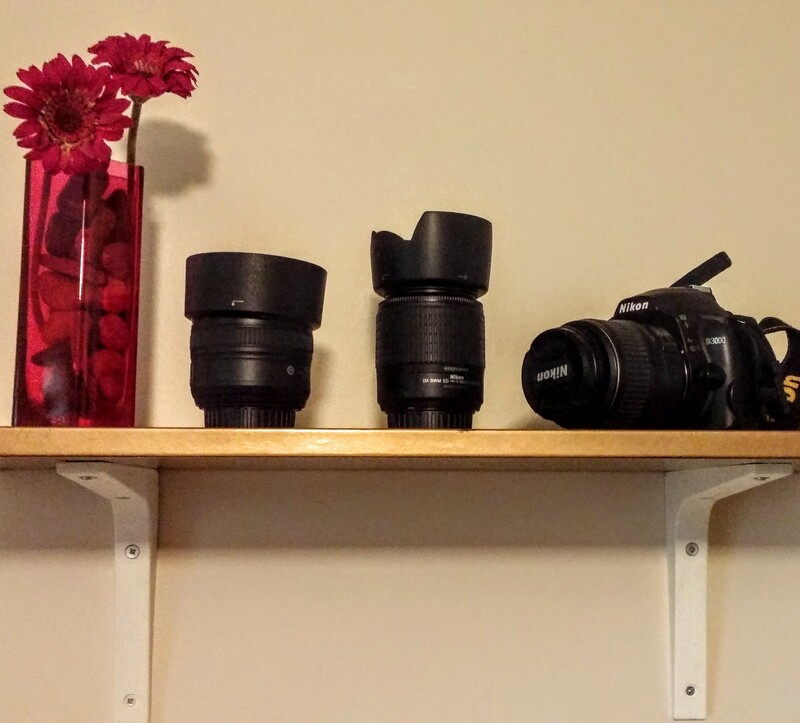 I also sprayed a plain shelf I had from, IKEA. I saw a unique cork board idea online so, I purchased some cork kitchen trivets from IKEA as well. 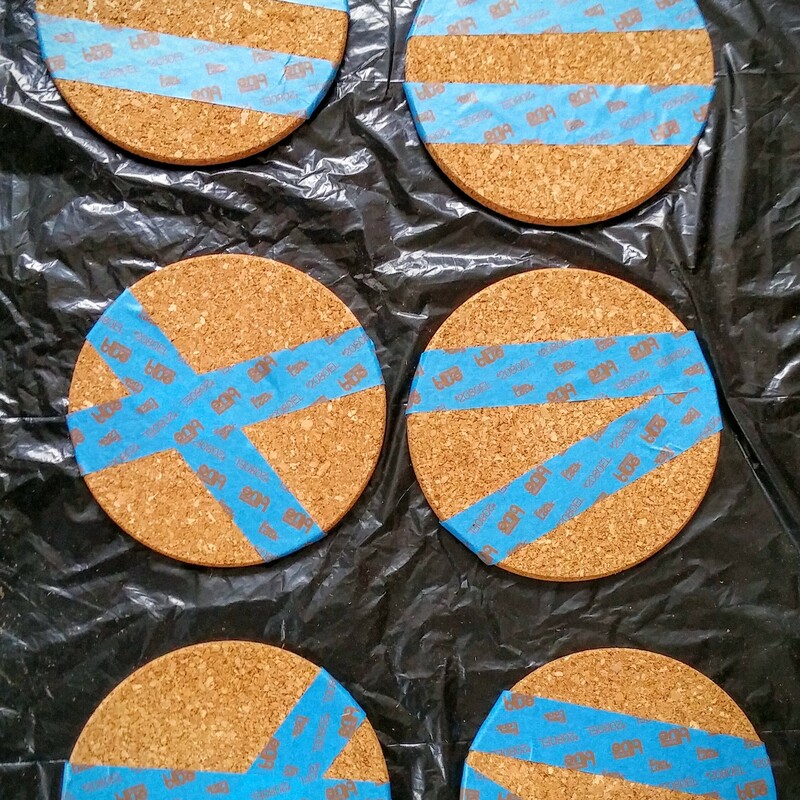 I painted the trivets white and then used painters tape to make a design with the gold spray paint. 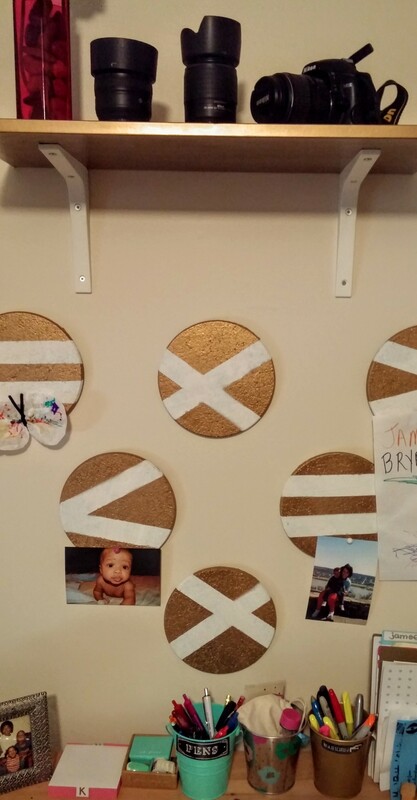 I hung them on the wall with Command picture hanging strips. I really like how my work space turned out. I love when my home feels organized and pulled together.